The best New Year’s Eve party is the one where you stay in. But that doesn’t mean that you’re not celebrating. Invite a few friends over and plan a fun-filled evening ringing in 2018 with a little do-it-youself style. 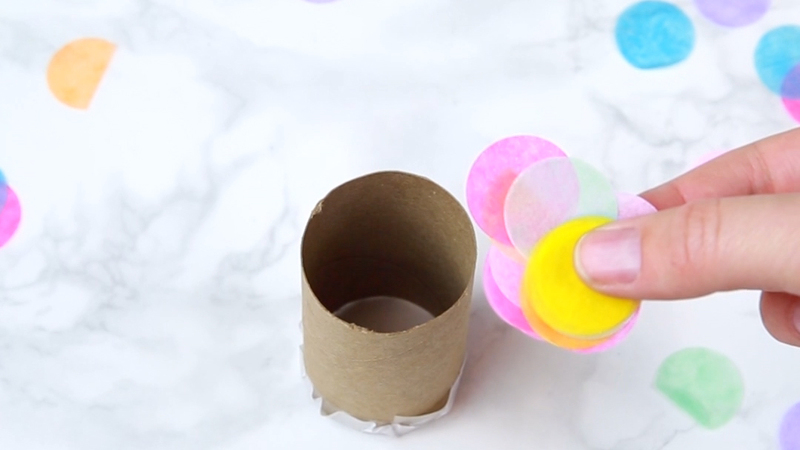 Impress your guests with a few handmade DIY party poppers literally made from toilet paper rolls. You were just gonna recycle them anyway, so you might as well party with them. Fill with confetti and decorate them as you please. Pop that champagne and pop those toilet rolls to keep the party going all night. Watch the video below for instructions in how to ring in 2018 right! 1. Cut the toilet paper roll down to about 3.5 inches. 2. Add double-sided tape along the edge of one end of the roll. Cut a circle of tissue paper, and press it around the tape. 3. Add confetti inside the roll. 4. Tie off a balloon and cut a hole in the top. Stretch the balloon around the roll, so it tightly wraps the roll. Secure with packing tape. 5. Cut decorative paper to fit the roll and tape it around. Add metallic tape at one end. 6. To use, puncture the tissue paper, pull the balloon and release.